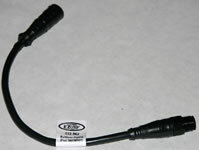 CONTACT US FOR REPLACEMENT PARTS. 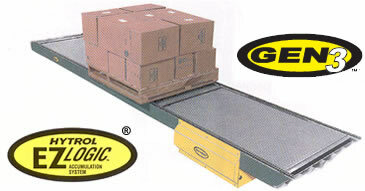 conveyor designed to handle pallets. collision that may result in product damage. 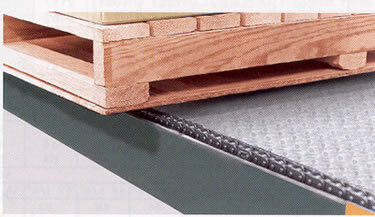 accumulation lift pads are activated which lift the product off of chain strands. CHAIN GUIDE  UHMW polyethylene. angle with 1-1/2 in. x 3/16 wall, chain support tube. discharge ends of each module. DRIVE SPROCKETS  Hardened #60 with 1 3/8 in. 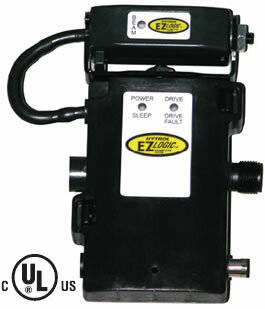 MOTOR 1-1/2 HP  230/460V 3 PH. 60 HZ. gear motor, located underneath in 5 ft. long module. no more than two unit loads will be moving at any time. may be used at any other location where a zone stop is required. 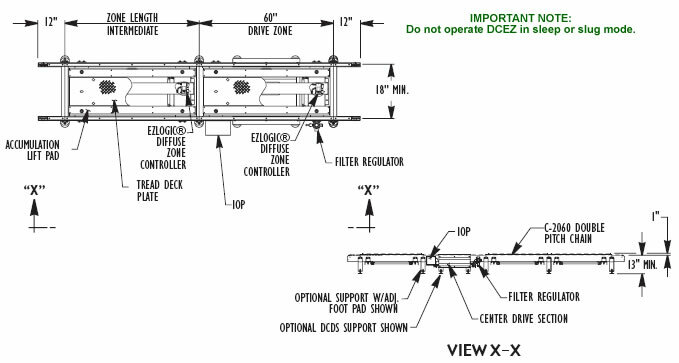 Conveyor shown with optional 60F single pitch chain. supports are available with a wide range of adjustment. lagging to floor. CLOSED TAILOverall length will be affected. 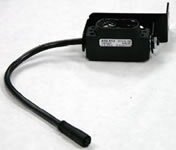 MOTORSEnergy efficient, 1 1/2 HP maximum. 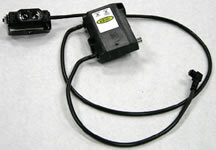 will require gearmotor change (contact us). EZLogic®-See EZLogic® bottom of page. UHMW polyethylene chain guides. 30 FPM constant speed. 6" x 7 Ga. powder painted formed steel frame. 2060 BTB15H drive sprockets with 1-3/8" dia. shaft. EZLogic Components pages for information and pricing. FOR ZONES 66 OR LONGER, USE $2,630 AS PER ZONE PRICE. Note: Section lengths and OAL change with zone lengths. NOTE: Maximum product length is 6" less than zone length. NOTE: Drive Zone is minimum 60 long. required. OAL must be divisible by zone length. or sleep mode is not recommended. For larger Horsepower requirements contact us. bed section and one (1) support per bed section thereafter. 12" to 45" from floor to top of chain. Model No. Adjustment to Top of Chain Price Ea. 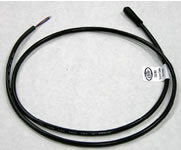 #032.281...one side.................$5.24 per / ft.
both sides............$10.47 per / ft.
supply cable and hardware.... $3.21 per foot. 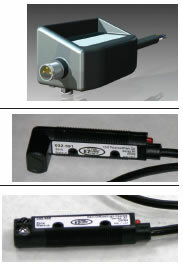 Zone controller including mounting base and unitized retro-reflective transducer. Same as standard, plus used for IOP communication, and addressable remote access. 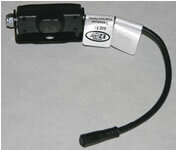 Zone controller including mounting base. 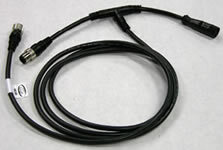 Connectorized for attaching any remote transducer. 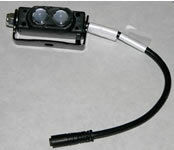 controller and allows transducer to be mounted separate from controller. Terminates zone to zone communication at infeed zone. Use to mount any Zone Controller. system. 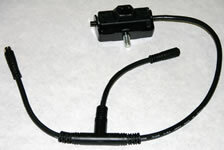 Requires 120 VAC or 230 VAC single phase input. to communicate with input/output boards. zone controllers. Max. of 25 zones per each branch of T.
Plugs into slot in IOP to provide two input/output connections. Requires enhanced controller to receive signal. controller. Required for customization of factory default settings. features of controller. Required for customization of factory default settings. or slug input. Available in 3 and 10 ft. lengths. 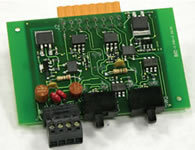 Provides NPN, PNP, or dry contact output from zone controller. 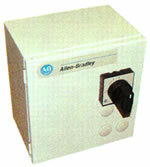 Plugs into auxiliary port of any controller to send wake-up signal. utilizing no more than one set of I/O boards. conveyors with separate IOPs, both utilizing I/O boards. Available in 3 and 10 ft. lengths. Used to extend zone controller cable when necessary. Used to connect two conveyors located side by side to one IOP. Requires 2 power supply T cables. Maximum total of 50 zones. adjustable sensitivity (through programming). 24 in. cable. and allows addition of second remote transducer. controller and allows addition of second remote transducer.